I’m not at all ashamed of that fact that when I have ice cream, I usually go for a drizzle — or a cascade, if you really want me to be honest — of chocolate sauce. Every once in a while, though, I have a craving for something different. Something sweet, and maybe a little buttery. That’s when a really good, really easy caramel sauce becomes my new favourite ice cream topping. I suppose I should start this little review with a quick confession: I didn’t go looking for a new caramel sauce recipe because I wanted an ice cream topping — though I’ve certainly used as one since making it. A few weeks ago, I came across a recipe for Banana Caramel Muffins. If you go and click on that little link, I’m sure you’ll agree with me that they look absolutely delicious. I immediately knew I wanted to make them. When I was preparing to do so, however, I was faced with a question. The recipe calls for caramel sauce — but it doesn’t tell you to make one. So I had to decide if I wanted to make a caramel sauce from scratch or just buy some. As I’m sure you’ve figured out by now, I decided to make a sauce myself. I’ve made caramel sauces in the past, and I’ve never really had much of a problem. I decided, though, that I would try out a new recipe instead of one I’ve already tried. 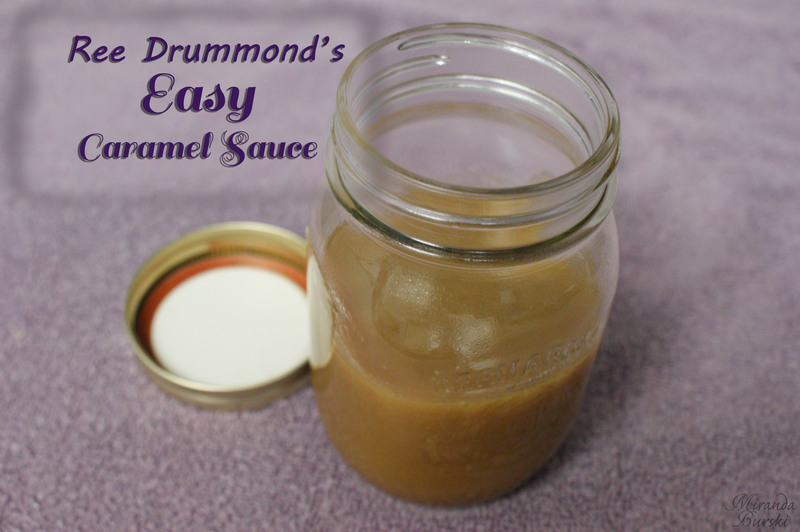 And when I went looking for one, I found Ree Drummond’s Easy Caramel Sauce. I have to say, the name of this recipe doesn’t lie. 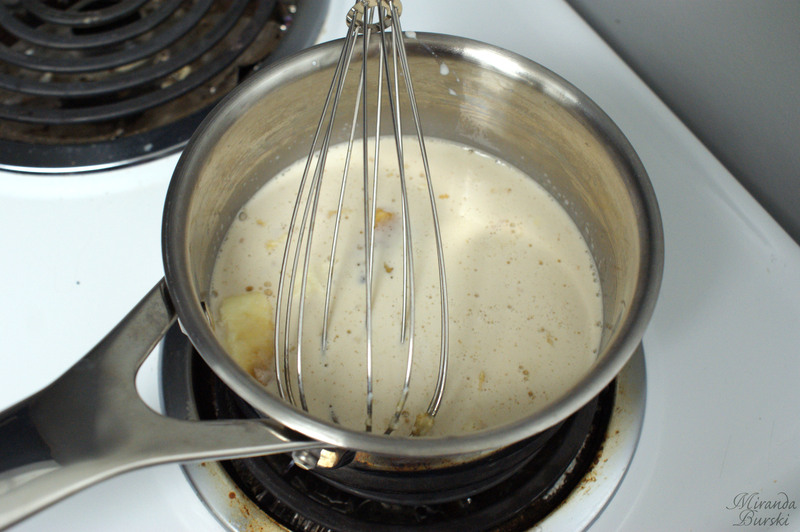 It calls for a whole five ingredients, four of which are melted together in the first step. Everything came together smoothly, and in the end I was left with a flavourful, creamy caramel sauce that is designed to keep in the fridge for at least a couple of weeks. The only caution I do have with this recipe is to make sure your caramel sauce has fully cooled before you put it in the fridge. I put mine in when it was still warm, and the sauce separated. Luckily it came together again after a lot of stirring, but the texture wasn’t quite as smooth as it had been.